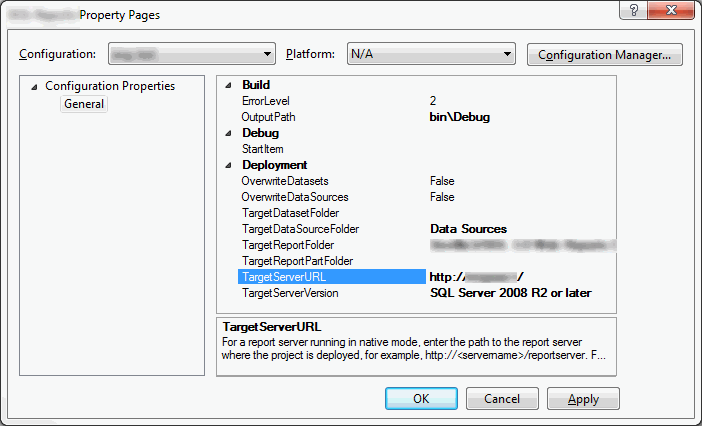 If you are looking to deploy your SSRS (SQL Server Reporting Service) reports directly from Visual Studio you will need to set the Target Server URL in the Properties of your project in the deployment section. The trick here is that this is not the URL for your Report Manager. What you are in fact looking for is the virtual folder where your reports are deployed. If for some reason you do not see this page then it is likely your report server was not installed with the default install. Never fear! Take a look at the quick article which explains how to find the report server name. 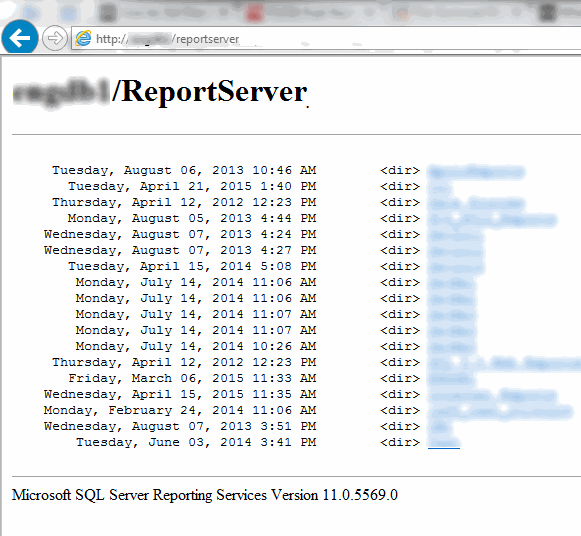 ← How Do I Figure Out My SSRS ReportServer URL If It Is Not The Default?